Fantasy RPG Games Like Dragon Age '+g+"
Check Our list of recommendations for fantasy themed role-playing games like Dragon Age which offers similar game play. Dragon Age is a series of fantasy medieval role playing games developed by BioWare. It is considered to be the spiritual successor to BioWare's "Baldur's Gate". 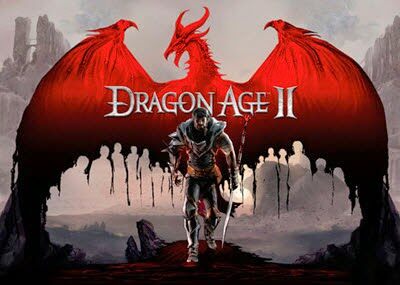 The main games of the series are Dragon Age: Origins (2009), Dragon Age II (2011), and Dragon Age: Inquisition (set to be released in Oct 2014). Don't forget to mention if we miss any as we keep on updating this list. It is an expansion pack for Baldur's Gate II: Shadows of Amn, and is the last chapter in the Baldur's Gate series for the PC/Mac. It takes place following the events in Shadows of Amn with an outbreak of war amongst the Bhaalspawn plaguing the lands of Tethyr. The player must now face the five legendary Bhaalspawns and destroy them for the people of Tethyr or his own personal gains. The Witcher 2: Assassins of Kings is an mature-themed fantasy role-playing game developed by CD Projekt RED for Microsoft Windows, Xbox 360 and OS X. The story follows the adventures of Geralt of Rivia, a Witcher (professional monster slayer) who must hunt down an assassin to clear his own name. The Lord of the Rings: War in the North,...if you can think of more, then don't forget to mention it in comments.